Narsha disproved accusations made by netizens regarding her recent photos. About a week ago, Narsha uploaded a series of photos of herself on her Instagram. 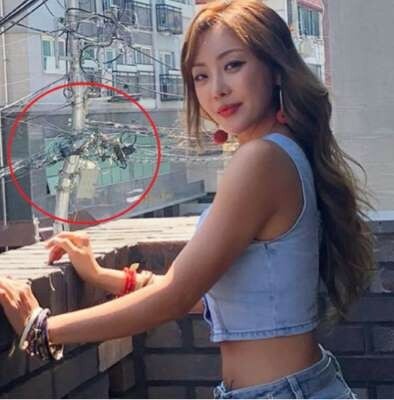 With the post, netizens took notice of a certain part of the photo and accused Narsha of having allegedly photoshopped the images. The problematic portion was the utility pole, which appeared to be curved and distorted in the photos. Taking this alleged distortion as evidence, netizens accused Narsha that it was the result of photoshop. However, on the July 3rd episode of 'One Night of Real Entertainment', Narsha claimed in an interview that the photo was not photoshopped at all. "After dieting on that day, I had decided to wear a crop top. But people thought that my body was photoshopped," said Narsha. "The utility pole was originally curved in form." Then, the show went onto prove that curved utility poles actually do exist. Indeed, the poles had been designed that way by the city, in order to create separation distance for safety and efficiency reasons. 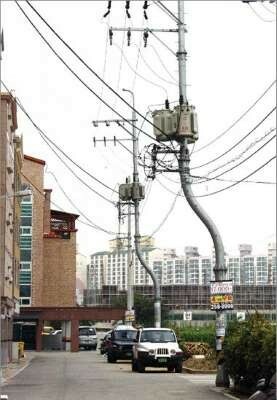 After Narsha disproved the allegations, some netizens began supporting her words by uploading more photos of the curved utility poles. "I have seen some of those in my neighborhood as well!" said one netizen. Check out the original SNS post below. Would you have thought that these photos were edited?